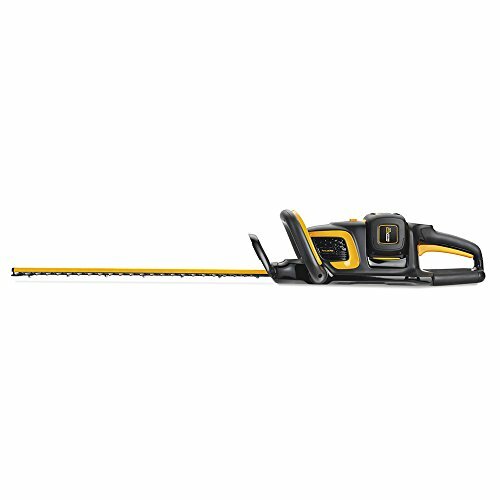 Powered by a 58-volt rechargeable lithium-ion battery, the all-new Poulan Pro battery-powered hedge trimmer delivers the power, performance, and runtime typical of traditional gas-powered tools – without the hassle of mixing and storing fuel, or the harmful emissions. 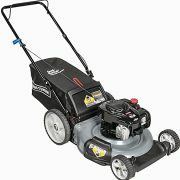 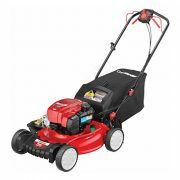 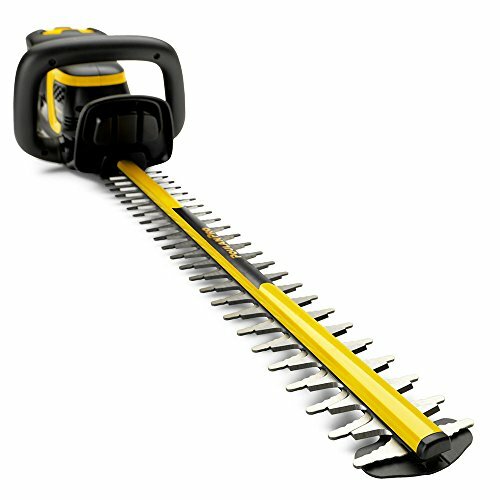 Featuring durable, stainless steel, dual-sided serrated blades for clean-cutting performance, it cuts at 3,400 strokes per minute for fast, efficient cuts in swaths up to 22″ wide for limbs up to 3/4″ in diameter. 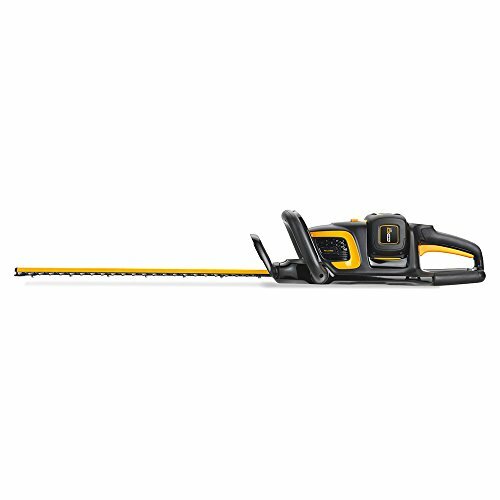 The ergonomic tri-handle design provides controlled cutting in all angles and positions. 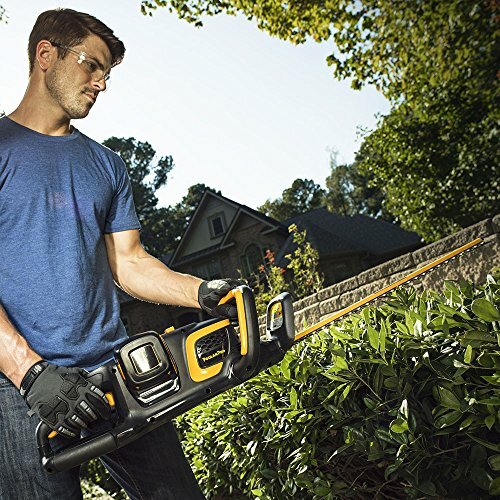 With a built-in battery power meter, it’s easy to monitor power usage, and the handle-mounted, easy-to-view battery power indicator guarantees you’ll never run out of power mid-task. 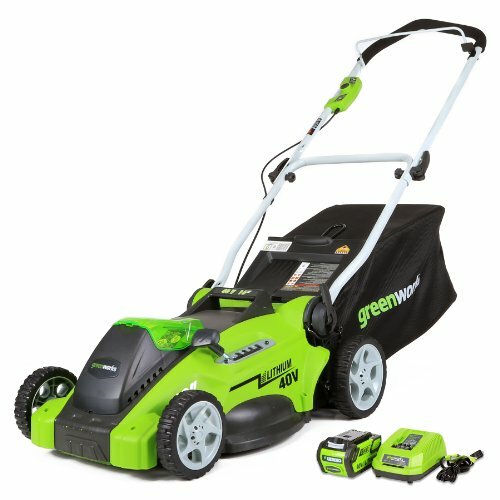 With other impressive features like instant push-button starting with no pull cord, variable speed control, and integrated power boost technology, this quiet, lightweight, ergonomically designed, and environmentally friendly hedge trimmer is powerful, easy to start, easy to operate, and perfect for trimming all sorts of shrubs and hedges.